Homeowners in Seattle will be receiving a notification in your mail about property taxes. King County voters in 2016 approved several initiatives that will support schools, emergency services and transportation, including more Sound Transit rail and bus service throughout much of the county. Those additional investments influence how much you pay in property taxes. Please take a look at this chart to see how your taxpayer dollars will be invested. 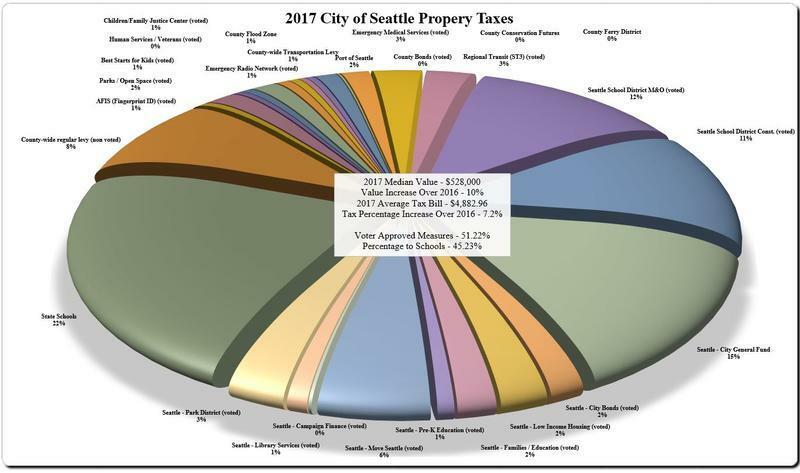 If you have any questions, visit www.kingcounty.gov/2017propertytax. The appeals deadline for this tax bill has passed, but you can find out how to appeal at www.kingcounty.gov/appeals or by calling 206-477-3400.